The latest California employment numbers point to a rubust housing market in the months ahead. The four California counties with the lowest unemployment rates in July are all in the Bay Area, according to the latest report from the state Employment Development Department. Marin County led the state with an unemployment rate of just 6.7 percent, followed by San Mateo County (7.0 percent), San Francisco County (7.6 percent), and Napa County (7.7 percent). They all also beat the U.S. average of 8.3 percent unemployment in July. Other Bay Area counties also posted strong numbers in the EDD’s employment report, with Sonoma County unemployment at 8.6 percent, Contra Costa County at 9.4 percent, and Alameda County at 9.5 percent — all well below July’s statewide average of 10.7 percent, which was unchanged from June. While California’s overall unemployment was significantly higher than the U.S. average, it was a marked improvement from the state’s 11.9 percent unemployment rate in July 2011. 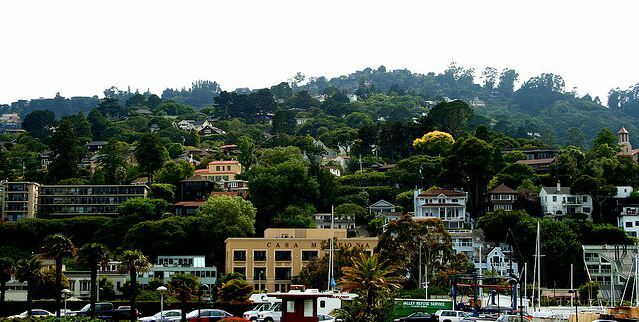 San Francisco posted the greatest month-over-month improvement among Bay Area counties, with unemployment dropping two-tenths of a percent from June to July. It dropped one-tenth of a percent in Napa and Sonoma Counties, was unchanged in Alameda and Contra Costa counties, and rose one-tenth of a percent in Marin County. Looking beyond improvements in unemployment, the Bay Area also led the state in the number of new jobs created last month — promising stronger economic growth in the months ahead. San Francisco employers added 4,600 new jobs in July, accounting for 18 percent of all new jobs in California, according to the EDD. Alameda County had the second highest new-job growth in the region with 2,600, followed by Contra Costa County (1,700), Marin County (1,400), Sonoma County (800), and Napa County (500). “The Bay Area remains the state’s job growth leader,” with more than 90,000 jobs created in the past year in the San Francisco, East Bay, and San Jose metro areas, according to Stephen Levy, director of the Center for Continuing Study of the California Economy (CCSCE) in Palo Alto. July marked the third straight month of strong job growth in California, and Levy noted that the state’s 2.6 percent job growth in July, year-over-year, was double the 1.3 percent recorded nationwide. In a June interview with Pacific Union International, Levy said the Bay Area’s economic growth is tied to “the three Ts” — technology, trade, and tourism jobs — and all are continuing to expand. Our rebounding economy, in turn, drives consumer confidence and residential real estate demand. We noted last week that Bay Area home sales are on track to record their best year since 2005. The latest jobs report confirms our optimism.